Becoming a mother whether for the first, second or multiple times, is a period of transformation for every woman. It can be both an exciting adventure and a profoundly overwhelming experience. In our western culture many women find themselves exhausted and burnt out, expectations to be super woman, to fit back into those skinny jeans and to do it all with a smile on our faces can be an unrealistic depleting ideal. Many traditional cultures treat postnatal women with extreme care, special foods, Massage, quiet and warmth, because they know what we have forgotten. That this is a sacred time. It’s something European culture once practiced too, a time of confinement. And so it’s time to reclaim this time of retreat with our own flavour . Remembering that our health is our wealth. Lets act like the important people we are and ask for help, to be nurtured and cared for while we rejuvenate, so we can be the mothers we want to be, are needed to be and are. Do you want to celebrate and honour this sacred time? Do you want to avoid overwhelm and exhaustion or is that your current experience? Do you want to emerge feeling rejuvenated rather than depleted? A Postnatal Doula can help with this rejuvenation, retreat or simply staying still. 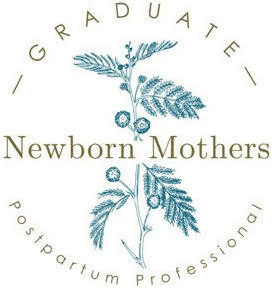 A Postnatal Doula can help support you to be the mother you know you are. Preparing nourishing meals, Ayurvedic Cooking, Massage, Reflexology, light housework, a friendly listening ear, comforting presence and support, are just some of the skills I offer. For more information and to find out about any free Postnatal Preparation Workshops I am running please complete the form below. Your details are safe with me.